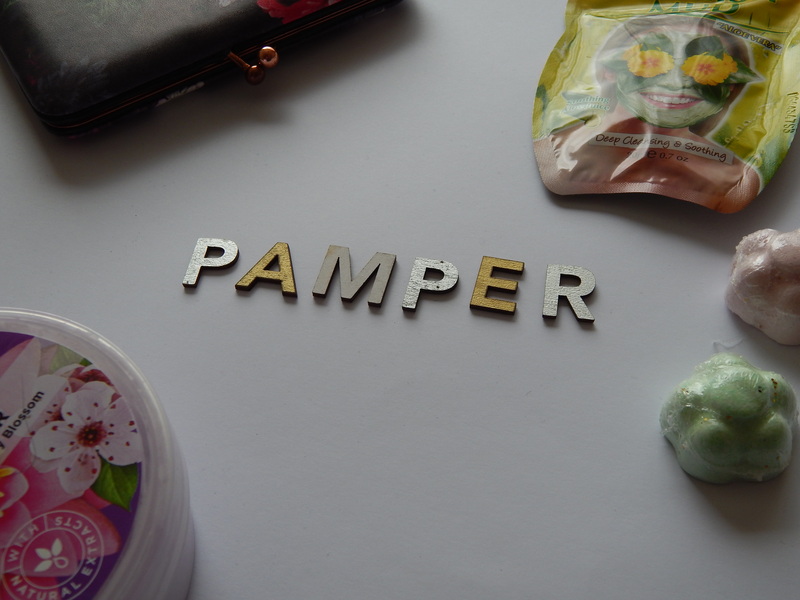 Sometimes you just need to take a night for yourself, enjoy some R&R and a good pamper session! Recently, I’ve been making more of an effort to take some time off and unwind properly. It’s so easy to rush around, taking no time for yourself. One of my favourite things to do to switch off from the day is to take some time to inject some pizzazz into my skincare and beauty routine. As you probably know, I made a decision to only use cruelty free beauty products so all of the following suggestions will fall into that category. Luckily, it’s getting easier to pick up cruelty free products on the high street and for a good price so a night of pampering doesn’t have to break the bank. The first thing I’m focusing on is masks. My favourite hair mask is the Hydrate & Shine Conditioning Masque with Coconut Water from Superdrug. It’s around £4 for a tub but is frequently on offer, which is when I tend to stock up on it. I’m not quite so loyal when it comes to face masks but I do love the individual ones from Montagne Jeunesse. I’ve been using them for years so I was pretty chuffed to discover that they are cruelty free. You can pick them up everywhere ( I got mine in Sainsburys!) and they’re usually around £1. While they’re on, I usually make a cup of tea and put some music on. At the moment, I can’t stop playing the latest Lady Gaga album. While that’s working it’s magic, I’ll paint my nails. I’ve been raving about Barry M nail varnishes on here for years and can happily report that I’m still a loyal customer! My nails are in terrible condition at the moment so I’ve returned to the coconut infusion polishes to try and show them a little TLC. I’m very rarely a bath person but have been known to indulge on occasion. I like to make it super bubbly and read in there so I’ll usually be in the bath for ages (which is why I don’t do it very often). Again I really like to get my bubble bath from Superdrug. I’m a massive fan of their own range for most of my staple products as they’re consistently good, affordable and, of course, cruelty free. They’ve recently released some new scents in their bath products that I’m dying to try. The Rhubarb & Custard one smells divine but my skin is being a little sensitive at the moment so I’m trying to stay away from scented bath and shower gels for a while. As soon as that changes, I’ll be heading to my local store to give it a try! Of course, if you really wanted an indulgent bath, you should stock up on some bath bombs. The go to place for that is Lush but my closest one is Newcastle so it’s been a little while since I’ve picked anything from there. If you don’t quite have time for the full works, something as simple as a face mask or painting your nails can still pick you up! I’m trying to work a little pampering into my usual routine so sometimes I’ll just pick the one thing and unwind with that. I’ve started to notice some favourites and staples when I’m doing so, which is why I thought I would share it with you. That being said, I’m always looking for new cruelty free beauty treats to try, so if you have any recommendations please do send them my way! I didn’t realise Montagne Jeunesse were cruelty free – that’s fab! I love their masks.